Beloved friends. Hang in there. We are many who are with you in every moment. The illusion that you have lived so long is about to disappear. The veils are lifting – the knowing about your own greatness is coming ever closer. Everything will be good. Everything is as it should be. Since everything is transformed to love and light it first needs to come to the surface so it then can leave, deeply and forever. Think of the butterfly, the beautiful butterfly who unfolds its wings when they have dried. It has transformed deeply from within and out. Before it could stand there in its full splendor and dry its wings it was brave. It closed itself up in a hard cocoon to develop in the hidden. It knew that in order to develop it needed to submit to this metamorphosis, this development, without itself knowing why. What you encounter in your everyday life, in people, in feelings and in fears, understand that everything is a mirror. Everything you encounter is for your own good, for your development, your metamorphosis, to find your greatness, your beatify and your Mastery. You are all masters so believe in what your intuitive heart wants to say to you. Dare to trust that everything is exactly as it should be. Face what you need to face, but know that you also meet what you are sending out. If you need help with daring to let go and brave meeting your fears, then ask for help. 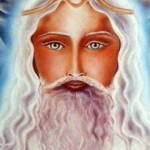 Ask your guide, your favorite angel, ask me or my brother Sananda to give a hand to hold onto. It is not far to go and we are just waiting to accompany you the road, over the bridge, over the bridge to your new Self, which is your old and well known Self, you should know. The time of reunion is here. The Era of light and transformation has come to Earth. All of us look forward to meeting you.